Jair Bolsonaro's visit to the US was much-heralded, certainly here in Brazil. The fact that it's the Brazilian president's first foreign trip is a sign of just how important he sees his relationship with the US. 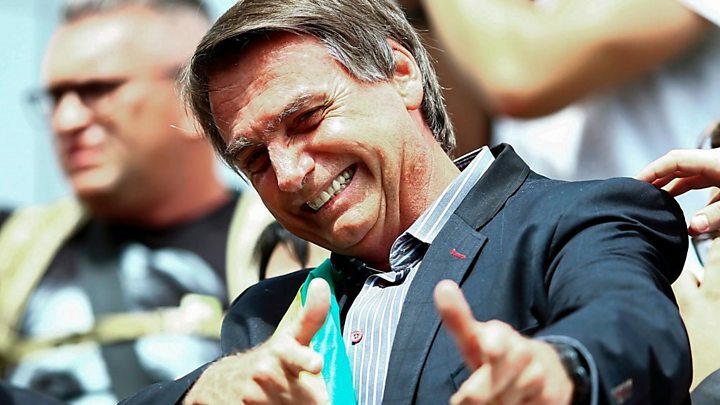 "It's the beginning of a partnership focused on liberty and prosperity, something that all of us Brazilians have long-wished for," he said, as he set off for Washington, adding that it was the first time in a while that a pro-American Brazilian president visited the US capital. Ahead of the meeting, a senior administration official talked of a "historic" remaking of the US-Brazil relationship. A relationship that has "always been one of potential, but yet it always seemed that that potential has never been met", said the official. "This time, it is different. There's truly going to be a north-south axis of the two largest economies in the Western Hemisphere." 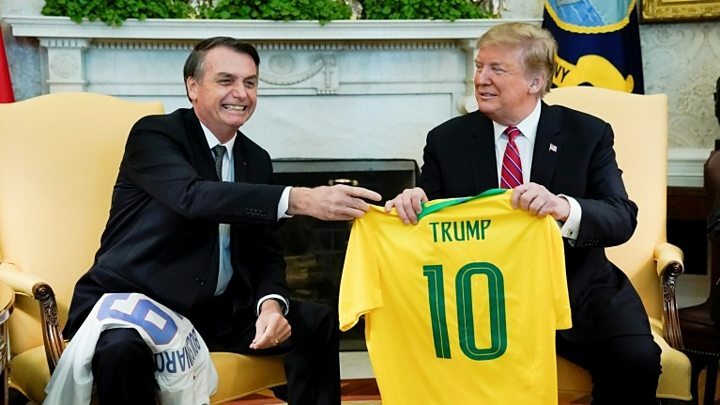 They are certainly words that will please Jair Bolsonaro, the man dubbed "Trump of the Tropics", who, it seems, has finally met his idol. "I've always admired the USA and this sense of admiration has only increased since you took office," Mr Bolsonaro said to Mr Trump as they gave a joint press conference in the Rose Garden. At times, during this trip, he's sounded like a Trump super-fan rather than the leader of one of the world's biggest economies. There's no doubt the two leaders have a lot in common. For a start, their rise to the top took both nations by surprise. They are both anti-immigration, they prioritise national economic interests above all else and they share a preoccupation with turning around the fortunes of their nations. So much so, Mr Bolsonaro has even adopted Mr Trump's campaign slogan. "We want to have a great Brazil just like Trump wants to have a great America," Mr Bolsonaro told the audience at the US Chamber of Commerce on Monday night, repeating an oft-used phrase that's familiar to Brazilians. And according to Mr Bolsonaro, it's not just an economic connection that exists between the two countries. "We believe in the family, in God, we are against political correctness, we don't want gender ideology - we want a world of peace and freedom," he said. "We need to work hard to ensure these goals are achieved." But for some, this visit has been seen as far more important for the Brazilian leader and his supporters back home than it is for Mr Trump. "I don't think Trump is at all interested in establishing some kind of personal relationship with Bolsonaro," says Oliver Stuenkel, professor of International Relations at the Getulio Vargas Foundation in Sao Paulo. "The US looks at this and says we appreciate your love, it's not that we care as much as you do, and if there's anything you can give us, we'll be happy to give you something in return." Mr Trump has reached out - he said he would encourage efforts to give Brazil Nato privileges and help the country get membership of the OECD. Music to Mr Bolsonaro's ears, although in practice, there's a lot to be done behind the scenes for any of that to happen. But the one aspect that will bind the two leaders together more immediately is Venezuela. They're off to a good start with their shared hatred of socialist politics. "The twilight hour of socialism has arrived in our hemisphere," said Mr Trump on Tuesday afternoon. 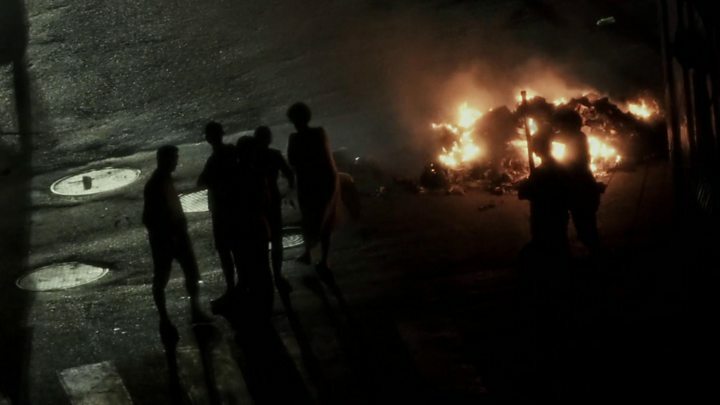 "The last thing we want in the US is socialism," adding that Mr Bolsonaro, who has been very public in his condemnation of left-wing politics in Brazil, would be somebody he would consult with going forward. The US has said all options remain on the table when it comes to Venezuela, but Mr Bolsonaro's position isn't so clear-cut. "If Bolsonaro tries to say all options are on the table, his vice-president and the ministers who are former four-star generals will remind him that Brazil won't participate in a military operation to remove Maduro from power because they think it will complicate matters," says Paulo Sotero, the director of the Brazil Institute at the Wilson Center in Washington DC. "Here's where the test of leadership comes." For now though, both Mr Bolsonaro and Mr Trump can pat themselves on the back for a successful visit. Having right-wing friends in South America will help Mr Trump's cause, but the US' relationship with the region has never been straightforward.